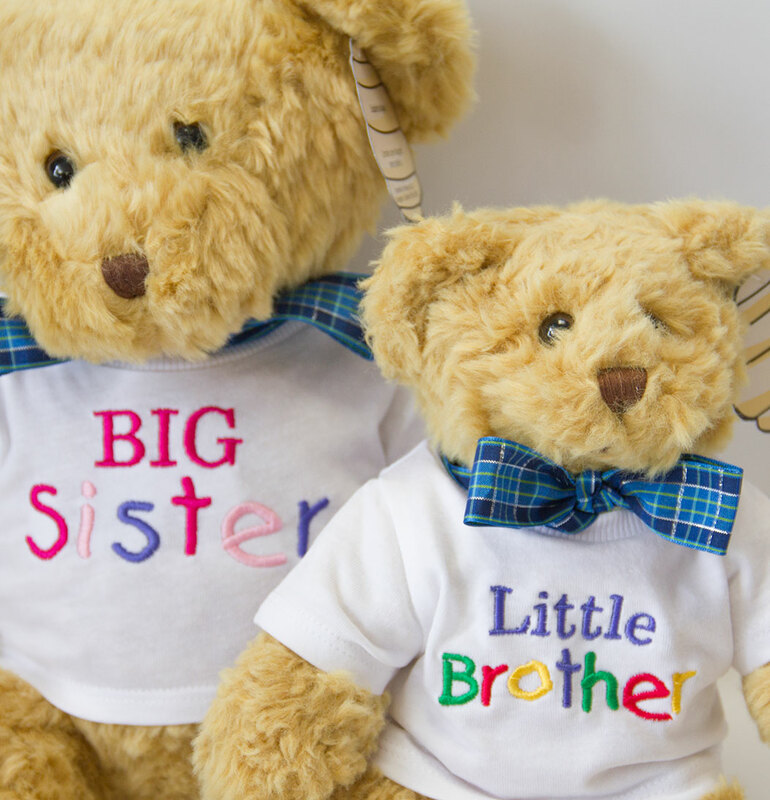 The most adorable gift for a family welcoming a new baby onto the scene and to help their Big Brother or Sister feel included in the celebration! 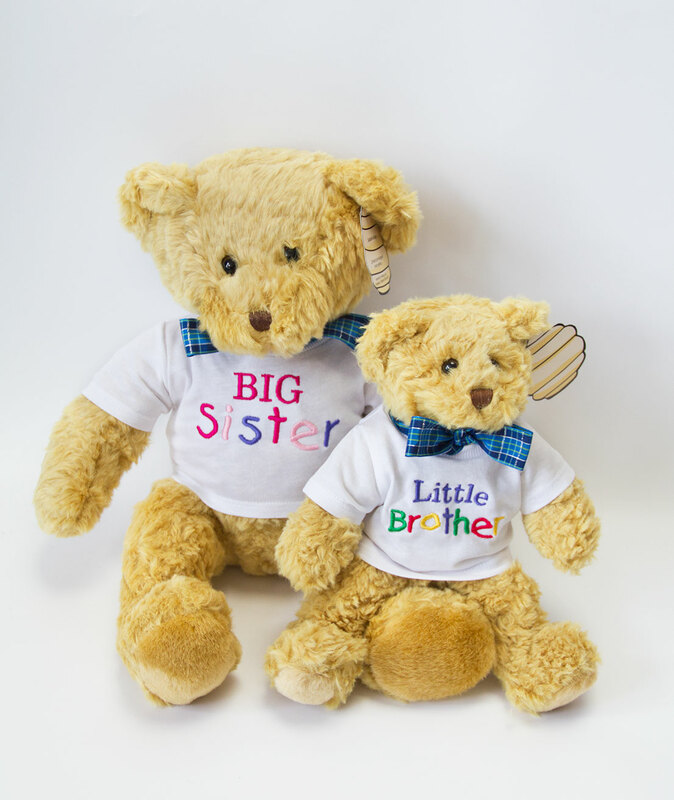 Big Sister or Big Brother Teddy, with a matching Little Sister or Little Brother Teddy. - Light brown fluffy bear with white/blue tartan ribbon bow. - Contrast pads on paws and feet. - Size of bears is approx. Medium (30.5cm) Large (40.5cm) when standing. - Embroidery is included in the price.